It has been a while since I took the train to Manchester. Yesterday we were on the slow one which takes almost an hour to do the journey. Passing through the green of the south Cheshire countryside where the hawthorn is in full bloom it is not long before we pass the telescope at Jodrell Bank and then are in the part of the county beloved of premier league footballers. Alderley Edge consumes more champagne per head of population than anywhere else in the UK and a little further on we pass the Aston Martin Service Centre. There is always a wait just outside Manchester Piccadilly for a platform but we were soon there. The station approach is being re-vamped yet again so there is scaffolding everywhere. After some shopping (only three books) we had a late lunch in a Northern Quarter pub. The landlord was on holiday and the lone chef struggling to cope with the orders. The waitress handled the banter from the other customers who said that we had been waiting so long, we would be malnourished. Afterwards I enjoyed some of the nearby street art, making a note to explore the area further on another trip. I was missing my SLR camera which I had left at home as heavy rain was forecast and I would not have been able to take in into the stadium. After 45 years of looking through the viewfinder, I do find framing a picture on a screen more difficult. We were heading to the Etihad Stadium to hear Bruce Springsteen and took the scenic route along the Ashton Canal. 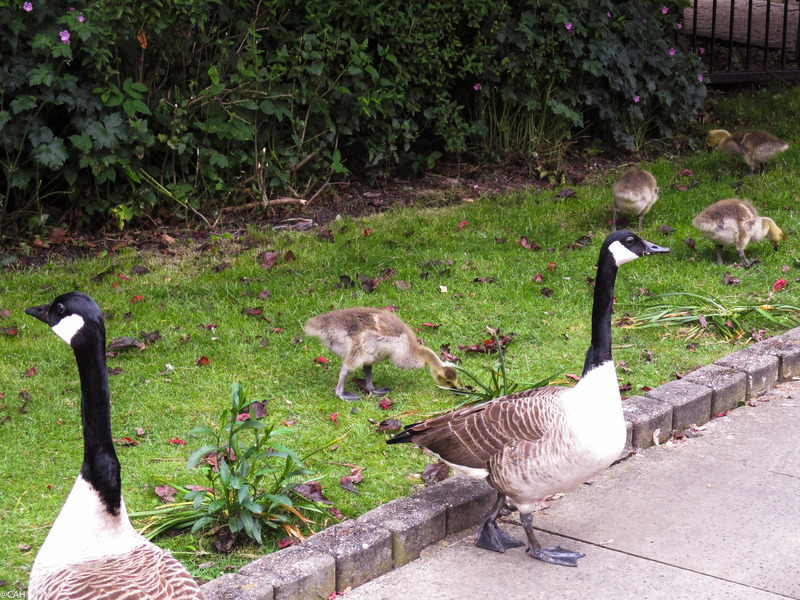 Some of the resident Canada Geese have are raising goslings and were feeding on the grass alongside us. At the stadium we were glad that we had booked seats as it poured with rain for the whole evening and the standing audience were drenched. He is a great performer and took a lot of audience requests. At one point, a guy wearing a Santa Claus outfit appeared which Bruce said was a first in the off-season. This led to ‘Santa Claus is coming to Town’ – the first time I have sung that along with 40,000 other people, in May. 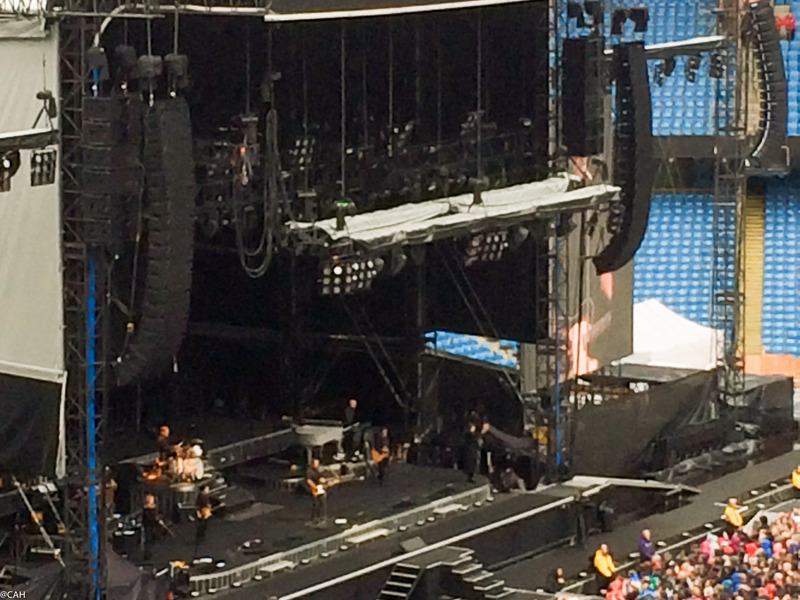 Bruce also had a child up on the stage to sing with him at one point. He is renowned for doing long sets but we could not stay until the end as we had our return train to catch after a wet walk back to the station. Glad you had a good time at the concert – I’ve heard of his very long sets as well. It sounds like it was a fun show….espcially since you weren’t water-logged.